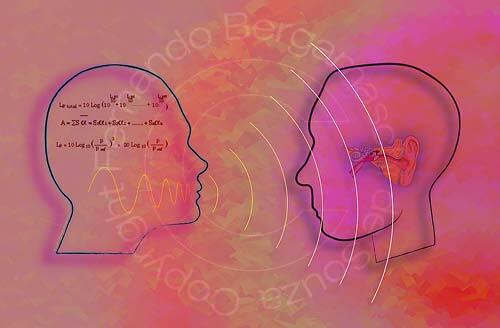 Heads of man, woman, ear outline drawing and sound waves. Reddish background. Drawing of heads of man and woman in profile and ear over reddish background. Auditive system illustration about communication, talk. Original pronto para uso gráfico ou poster digital. Original for graphic or digital poster print.